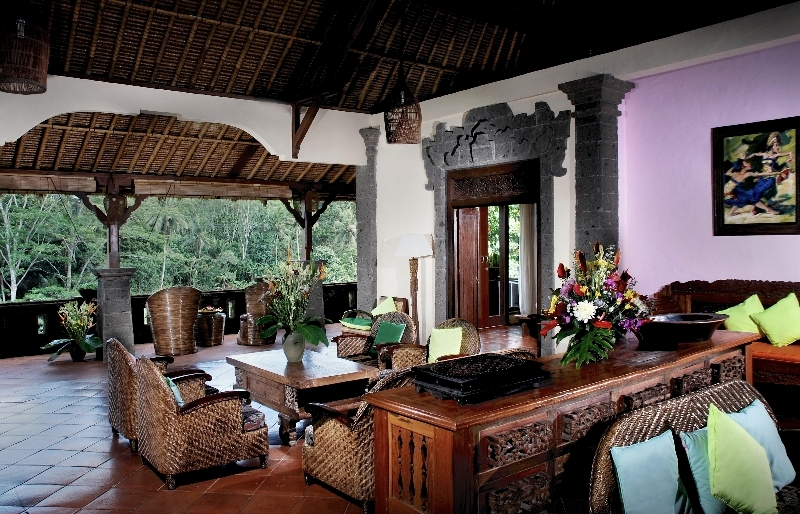 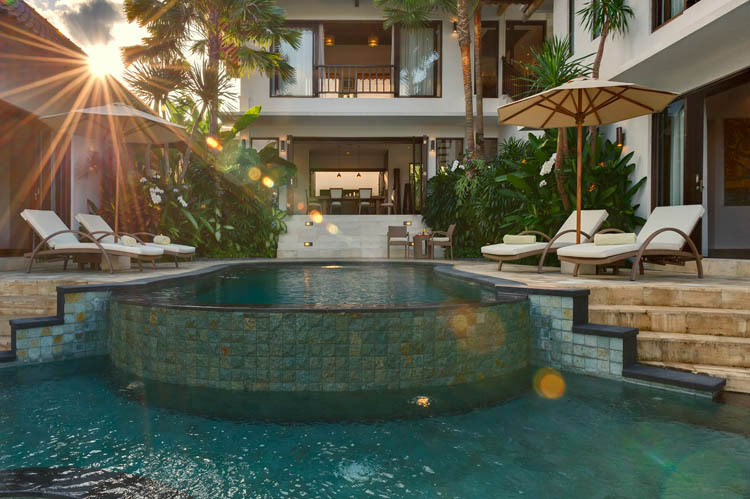 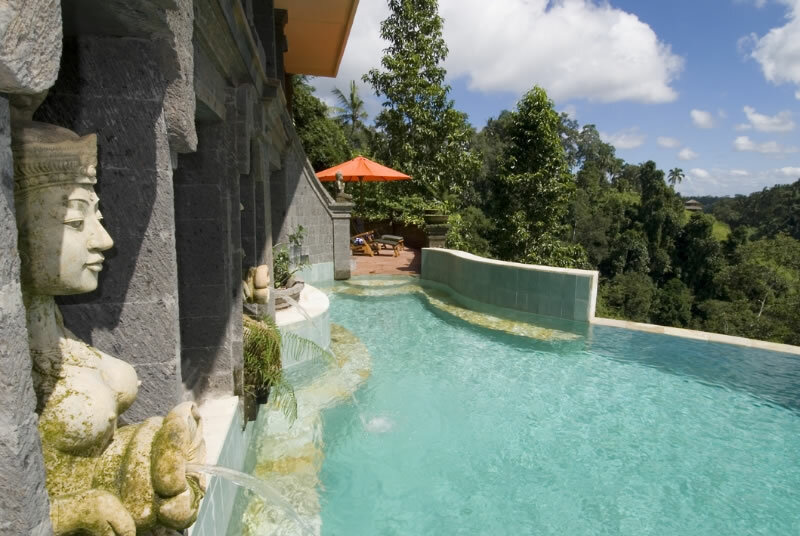 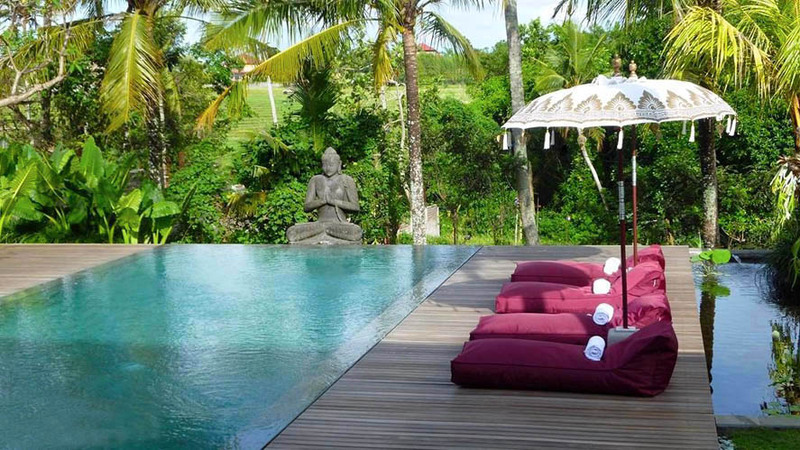 Plunge into the Balinese culture and passing your holidays in a very traditional villa. 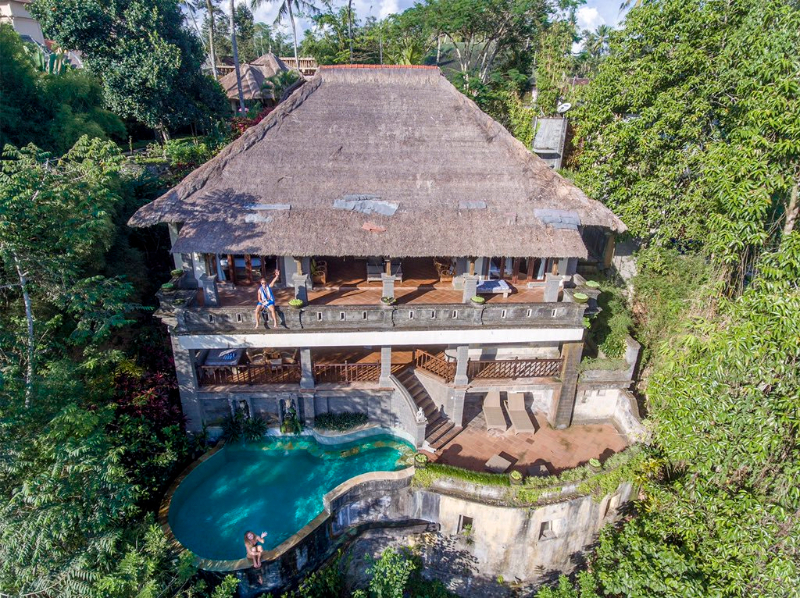 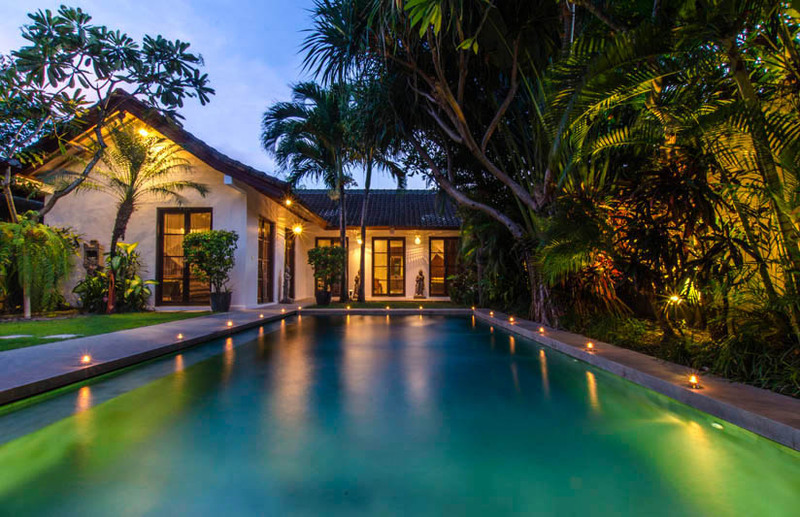 This villa was built in the middle of soul of Ubud cultural, built by Balinese architect in 2005 , the villa reflected the passion of culture, art spirit with serinity and spirit of art. 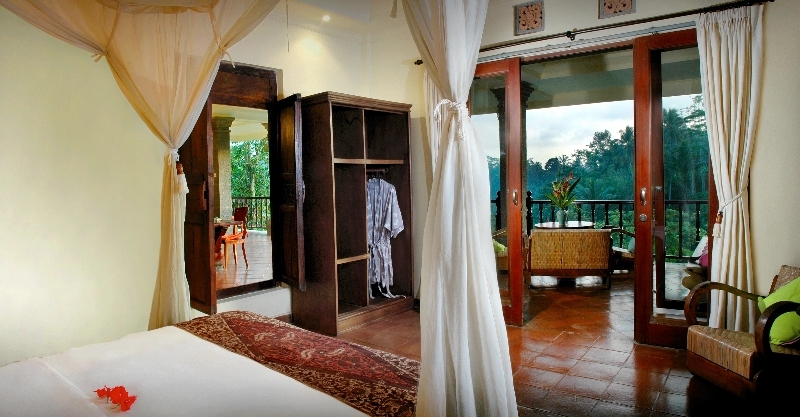 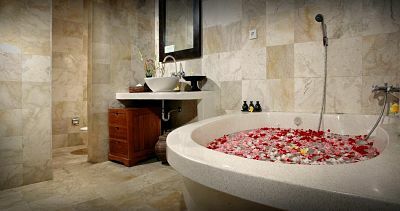 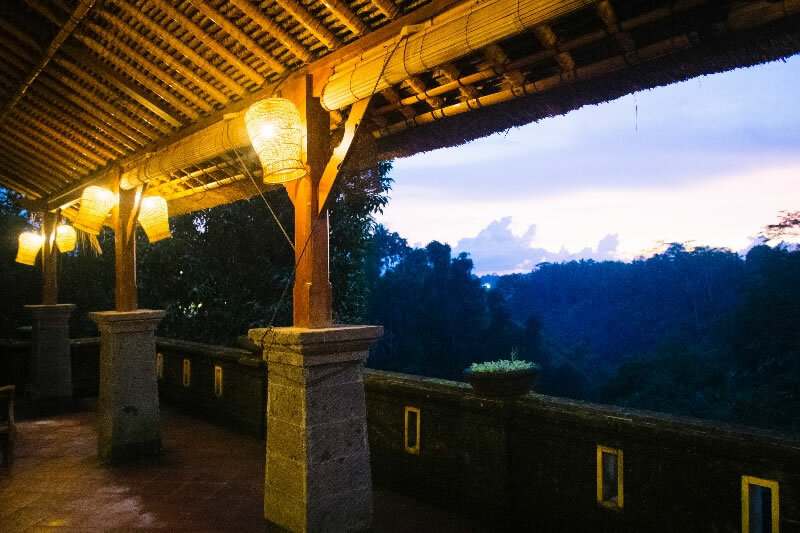 A unique luxury traditional villas with over view of hills, river view yet easy access the main center of Ubud. 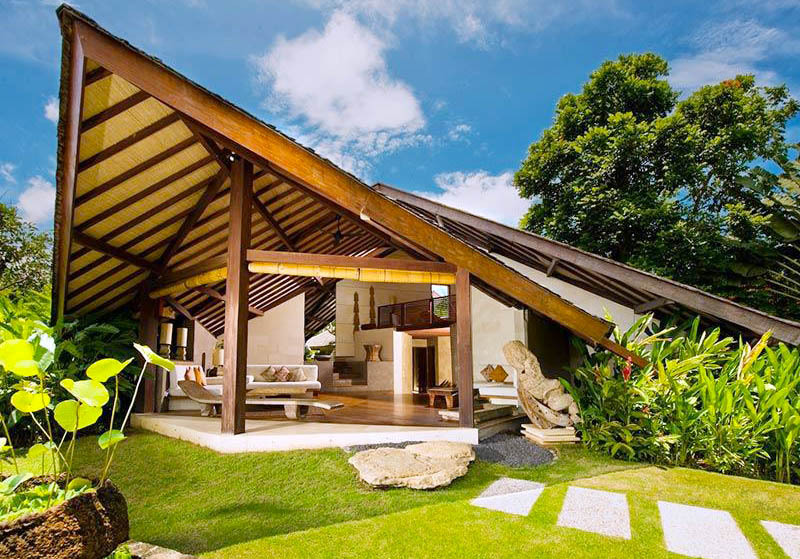 Stay calm and stay in Villa Awang for your up adventure in Bali. 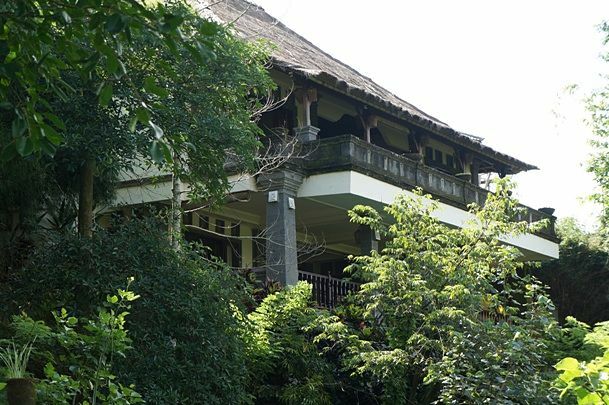 With total of 5 bedrooms in three levels house, three on the upper floor and two on the middle floor. 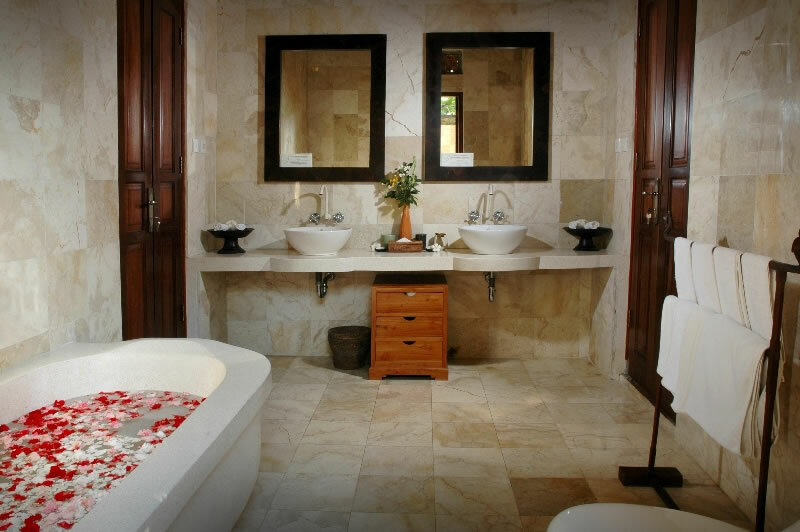 The master dbedroom is carefully design with marble floor and ensuited bathroom with walk-in dressing room and as final touch. 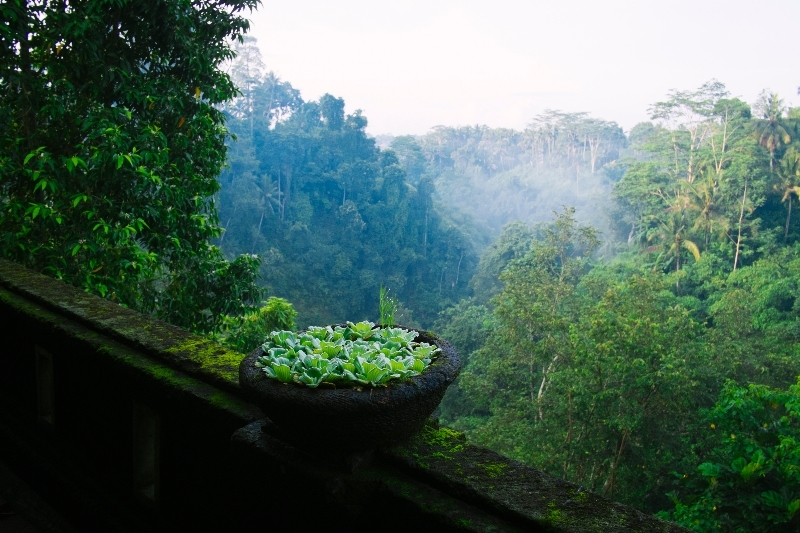 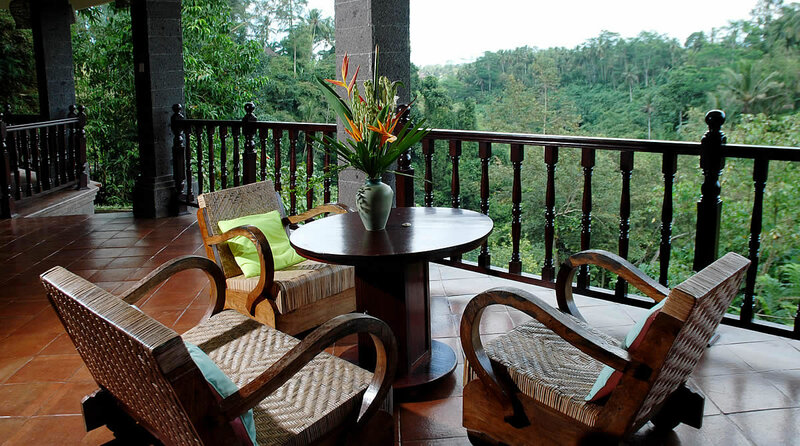 The balcony has full view of the hills and rain forest jungle, a serene glorious moment! 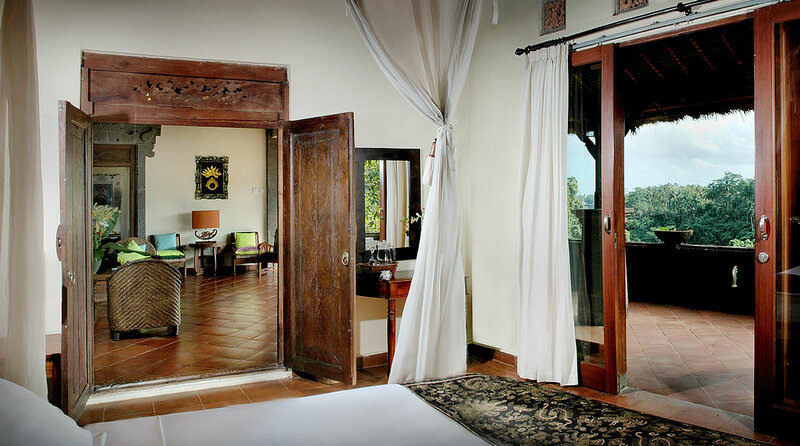 In the second floor, lay other two bedrooms with one twin bed and one with queen bed and an ensuited bathroom and outdoor shower overlooking the sky and for other bedrooms located in the middle floor with direct access to dining room with integrated terrace over looking the view. 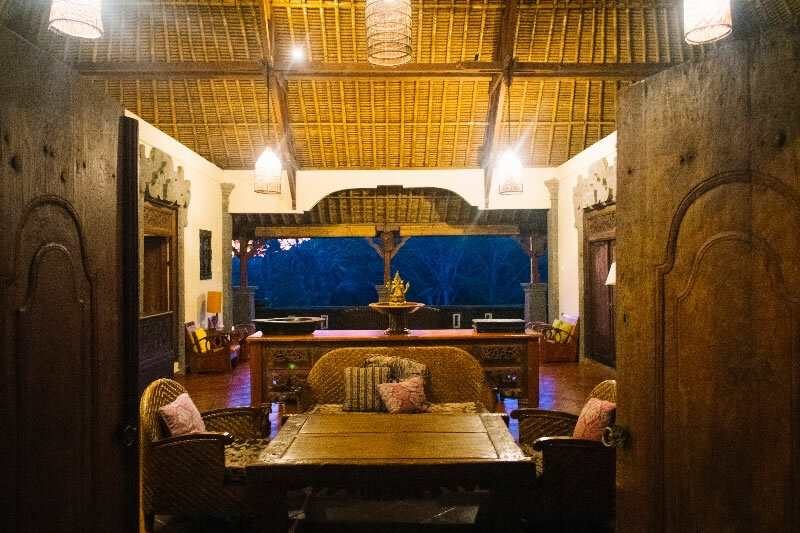 Constructed with old Javanese antique furniture and interior, a large dining table with 10 seat surrounded by sound system, CD player, shelter by traditional alang alang roof top accompanied by spectacular view of Petanu River. 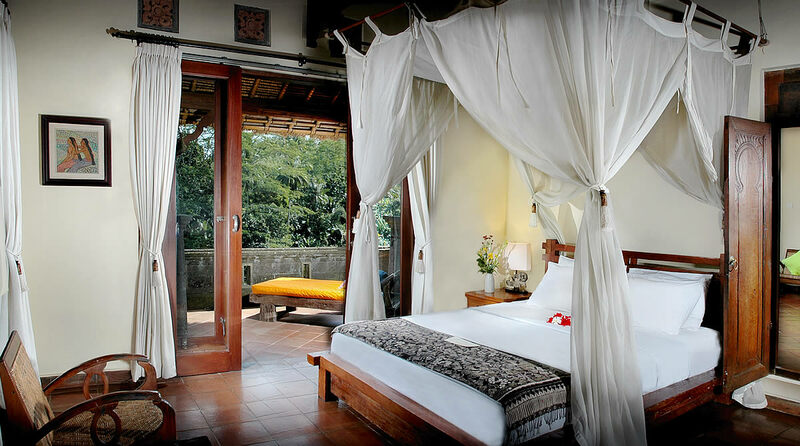 Without forget mentioning the living area, a four set of dutch chair, and daybed this is such a pleasant way for relaxing. 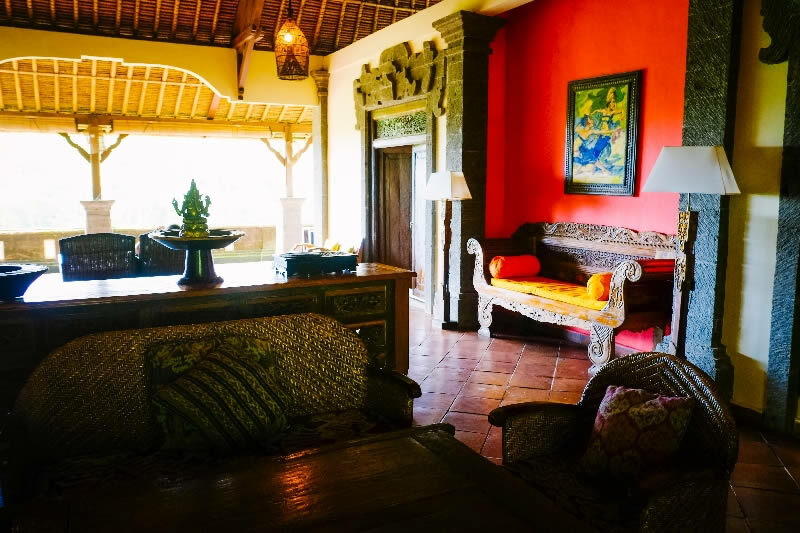 Small kitchen is provided for all guest who want to store their beverage and food and also let our dedicated staff prepare your breakfast in any minutes or even prepare your lunch in our main kitchen with complete utensils and appliance. 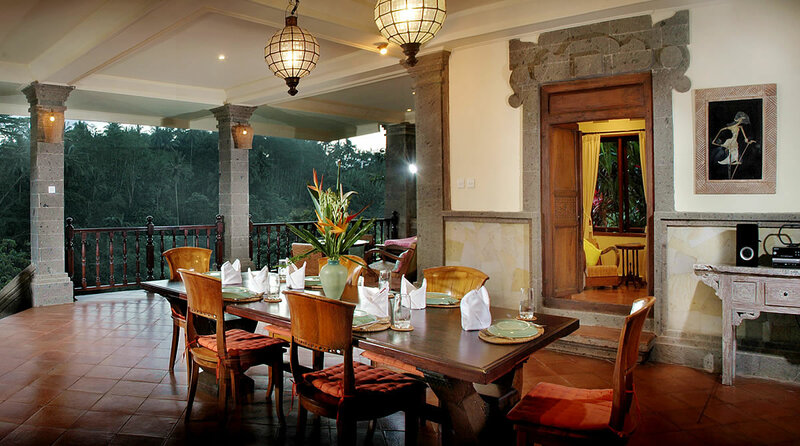 Enjoy our traditional meal prepared by our professional butler and cook. 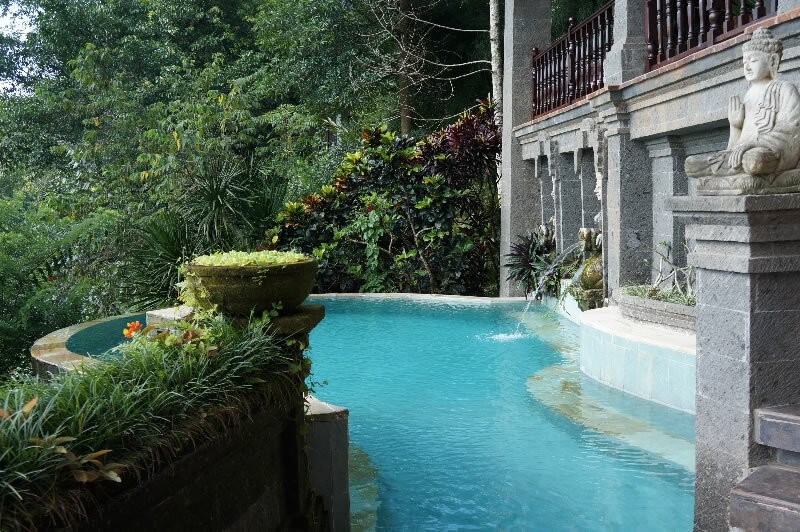 We looking forward to welcome you in Villa Awang with our icon of Infinity pool by the river and jungle with tropical forest view. 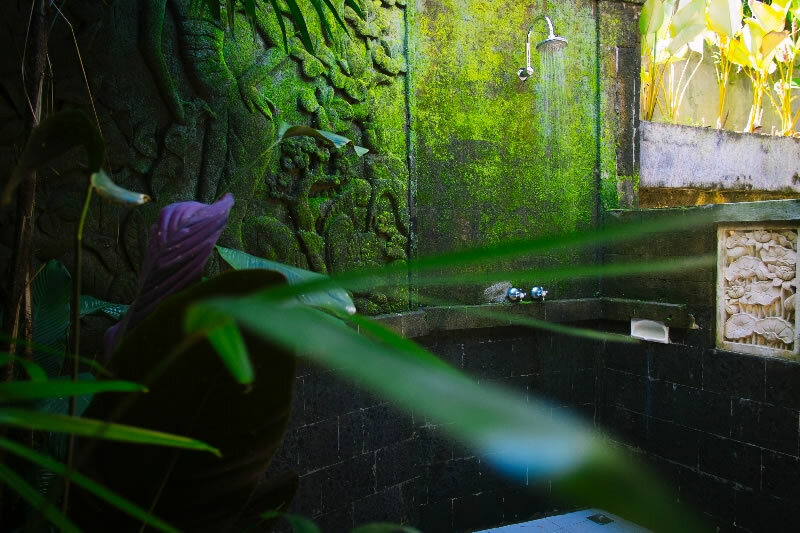 Welcome in the jungle and let the adventure start.